If you are looking to improve your career skills or simply get better at your hobbies, online education platforms may be the right next step. Many top colleges and universities now offer distance learning, and a fair number of online teaching platforms have sprung up that target adults who are already part of the workforce. Two of the most popular online teaching platforms are Simplilearn and Udemy. 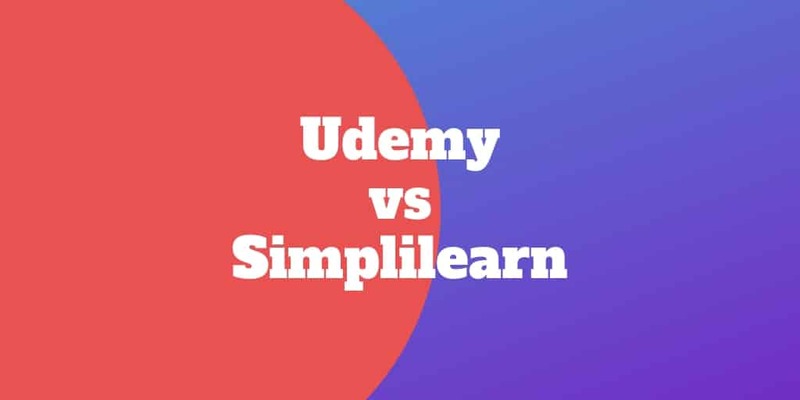 In this Simplilearn Vs Udemy comparison, we help you decide which is best. Simplilearn specializes in preparing students to sit for certification exams that have been accredited by professional organizations. 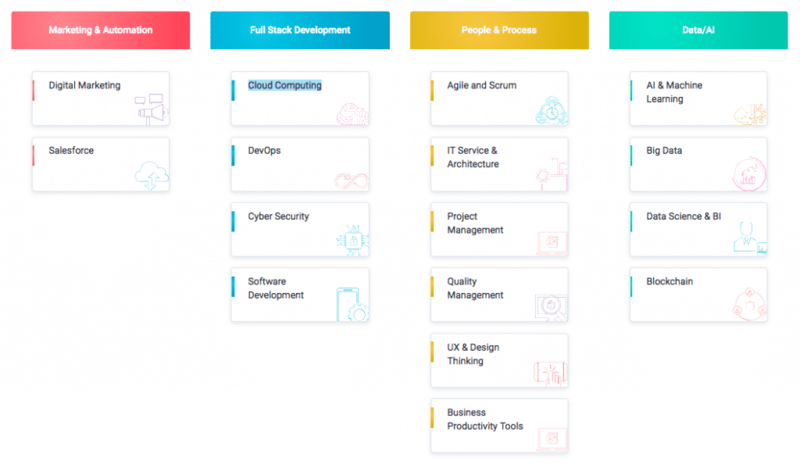 The platform collects fees from students attracted by 200 courses in 11 categories like project management, financial management, IT service management, quality assurance and Microsoft technology. Udemy, on the other hand, features over 80,000 classes, and splits student fees with instructors who use its technology to create virtual classrooms. While Simplilearn is more like an online school, Udemy is more of a digital instruction marketplace. But which online learning platform is best for your needs? How Much Money Can You Make On Udemy? Is Simplilearn Available On Mobile? How Much Do Simplilearn Instructors Make? It was founded in 2010 with the goal of democratizing education: Any Udemy user can be either an instructor or a student. To date, the “startup” has received more than $170 million in venture funding. You name it, and there’s probably a class for it offered somewhere on Udemy. The platform offers a dizzying array of learning experiences in fields as different as language, music technology, the arts and humanities, health and fitness, and business and entrepreneurship. If offers an enormous number of practical how-to classes on everything from statistical regression analysis to making jewelry from polymer clay. Approximately one-third of the classes on Udemy are free, but these free classes are often teasers designed to attract students into signing up for paid classes. The vast majority of the paid classes are priced under $50. Udemy’s courses are self-paced, and most of them do not require prerequisites; they are open to anyone with an interest in the subject being taught. They offer no real-time interaction with instructors or with other students other than online discussion boards. When users enroll in a specific class, they are taken to a landing page with a course description, course reviews and a video introduction. Didactic materials can be uploaded as videos of lectures, but they may also be presented as audio files, text presentations or even PowerPoint slides. Two-thirds of Udemy’s user base lives outside the U.S., and classes are offered in Spanish, German, French, Czech, Italian and Russian as well as in English. At the conclusion of each class, students are awarded a Certificate of Completion. Udemy offers mobile apps for both the iOS and Android operating systems. The company estimates that approximately 20 percent of its students access the platform through mobile devices. For instructors, Udemy hosts tutorials on how to teach a Udemy class. Prospective instructors are given access to guidelines and tools that will help them build classes with clear learning objectives. For instructors who are interested in building their own brand so that they can keep more of the fees their classes earn, Udemy provides a number of tools, such as Conversion Analytics and Engagement Analytics, that are aimed at attracting more students to their courses. Can You Make On Udemy? Udemy uses a shared revenue model: when a student signs up for a class as a result of the website’s marketing, the instructor retains half the student’s fee while Udemy retains the other half. If a Udemy promotional affiliate attracts the student to the class, that affiliate takes 50% of the student’s fee, and Udemy and the instructor split the remaining 50%. However, when a student enrolls in a class hosted on the Udemy platform purely because of that instructor’s reputation or own marketing efforts, the instructor keeps 97% of the student’s fees. While Udemy’s 10 top instructors made more than $17 million in 2015, the average Udemy instructor takes home approximately $7,000 a year. Instructors on competitors’ platforms frequently post courses on Udemy in order to maximize profits. In fact, in 2013, Simplilearn began partnering with Udemy to offer its flagship Project Management Professional courses on the Udemy platform. The company was founded in 2009 and, to date, has received approximately $31 million in four rounds of investor funding. At its inception, the company offered both online and offline learning experiences, but in 2015, it closed its bricks-and-mortar training centers. LinkedIn includes Simplilearn in its list of the top 10 most influential education brands. Simplilearn’s catalog includes business courses such as project management and data analytics, technology courses such as web design and programming and vendor offerings from companies like Microsoft and Adobe. Many of these classes are recognized by professional accreditation organizations. Classes may be either real time, instructor-led training (ILT) sessions or self-paced. Each course landing page opens onto a dashboard that features core content on the middle of the screen, a hyperlinked syllabus to the left and a Learning Tools panel to the right, which links to discussion boards, PowerPoint slides, quizzes and other materials. The syllabus menu also includes a link to Simplilearn’s CloudLabs, which is a virtual space where students can test their class projects. Instructor-led training sessions, which are open to students from all over the world, use WebEx software, are taught in English, and are held in batches of 8 → 10 at a time. They are scheduled for mornings, evenings and standard business hours. Sessions are automatically recorded and distributed so that students can refer back to them as they work on class projects. Students can get a sizable discount by signing up for a Flexi-Pass, which entitles them to three months of unlimited ILT access and six months of unlimited self-paced learning. Simplilearn students have one of the highest rates of completion in the online educational world; nearly 70% of their students complete courses compared to just 10%, which is the average industry completion rate. The bottom line is you get what you pay for and Simplilearn is worth it, even though it may not be the cheapest online learning platform. Simplilearn students can access courses on mobile devices by using one of Simplilearn’s suite of apps for iOS and Android. Simplilearn has approximately 2,000 instructors and trainers, which the company recruits from LinkedIn. The company specifically looks for professionals with 15 to 20 years of industry experience. Instructors and trainers are rated by students following every class, and highly rated instructors and trainers are rewarded. On average, Simplilearn instructors earn between $25,000 and $32,000 a year. Udemy offers thousands of courses on a variety of different topics while Simplilearn offers approximately 400 courses that focus on enhancing professional skills. Udemy’s classes range from course descriptions that are essentially splash pages for more expensive classes to in-depth explorations of subject matter, but you may have to do some homework to winnow out the grain from the chaff. Udemy itself does not review classes offered by its instructors to any great extent. Simplilearn’s classes, on the other hand, have been thoroughly vetted by the company. Moreover, students review instructors and trainers frequently, and the company weighs such criticism carefully. Simplilearn also works with accreditation partners so that students can earn professional certifications upon successful completion of a class. Anyone can teach a class on the Udemy platform. However, Simplilearn evaluates prospective instructors carefully on the basis of their professional skills. Simplilearn targets a specific niche within that sector while Udemy aims to dominate the entire sector. Its courses are expressly designed for working professionals who are interested in certification courses across industry verticals that will enhance their career opportunities. Udemy, on the other hand, offers classes for everyone from hobbyists looking to improve their crafting skills to companies who want to provide specialized employee training. Simplilearn trains approximately 4,000 professionals a month whereas more than a million students from 200 countries sign up for Udemy courses every year. Simplilearn training sessions vary in price from a few hundred dollars to thousands of dollars. For classes that offer in-depth training and a high degree of value, this is in line with industry norms. It costs $600 to purchase a Flexi-Pass that gives you access to 90 days of instructor-led training sessions and 180 days of self-paced course materials. Many Udemy courses are offered at no cost. And while there are a few courses that cost hundreds of dollars, most classes are priced at under $50, and the sweet spot seems to be between $10 and $20. Many of Simplilearn’s certifications are recognized by accredited organizations however most Udemy courses are not acknowledged by accreditation bodies. 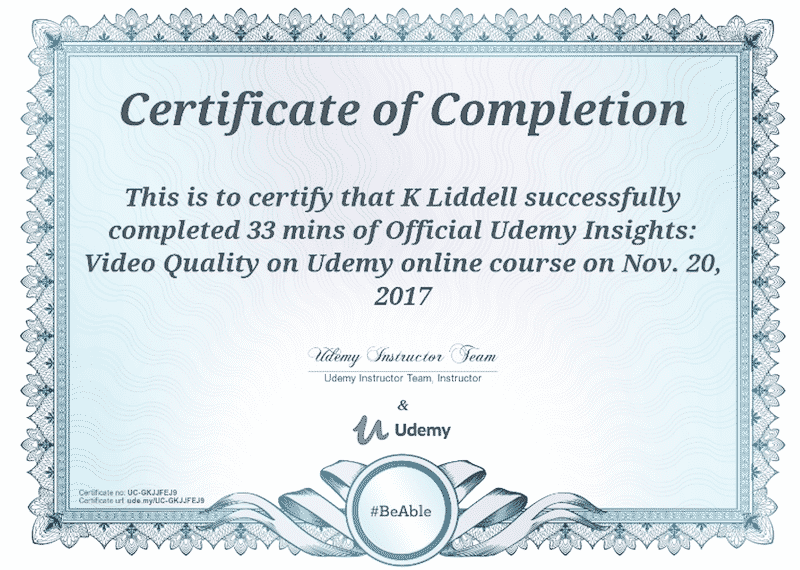 Since Udemy doesn’t vet instructors carefully, course quality is more variable. Udemy’s revenue model encourages upselling. It’s difficult to get a refund if you decide a course is not for you. CloudLabs’ learning curve is difficult for many. 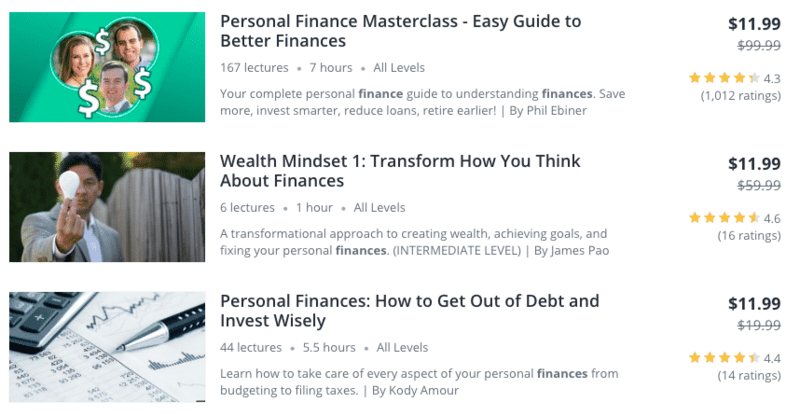 Udemy might be the right choice if you’re interested in learning about a topic based on your own passions or interests, or if you’re looking to supplement your income by teaching about a subject you enjoy. However, Simplilearn may be the better choice if you’re interested in specialized training within a business or technical field. You can earn accreditation within a field of study, and you can use CloudLabs to create projects without investing in additional software. ‹ Marc Merrill Net Worth – Is It Really $2.5 Billion?